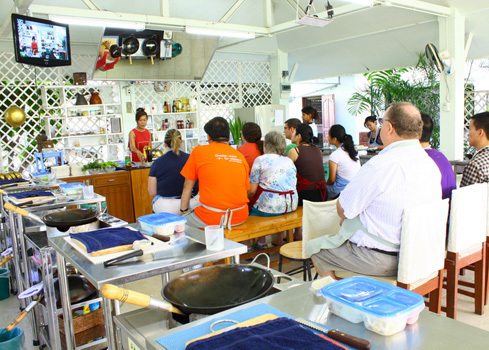 Cooking@home Thai Culinary School takes you away from the crowds and gives you local insight. Our classes are taught in English and our beautifully illustrated Cooking@Home recipe book (free with your first lesson) is written in English too. Our cooking classes are suitable for both beginners and experienced cooks of all ages. Family groups are most welcome and tuition is tailored accordingly. Children under the age of 12 must be supervised by a parent or a designated adult. 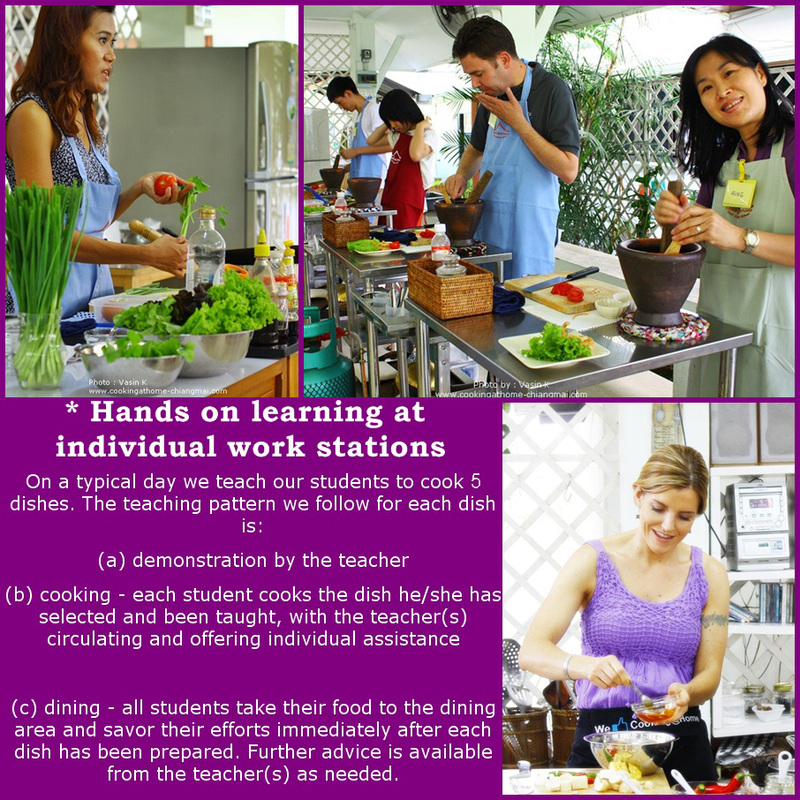 Our classes are small and we aim for a teacher : student ratio of no more than 1:6.
dining - all students take their food to the dining area and savor their efforts immediately after each dish has been prepared. Further advice is available from the teacher(s) as needed. Our premises are purpose built, we use the freshest ingredients available and our staff maintain top standards in all aspects of hygiene. Given sufficient advance notice we can adapt our courses to your group's specific requirements. We have experience teaching especially tailored courses to a wide variety of groups, including professional chefs, people with disabilities, and groups of students from schools and universities. To be certain of securing a place on the course(s) on your chosen date(s), book directly with us online via our website and pay in advance using PayPal's secure payment website. 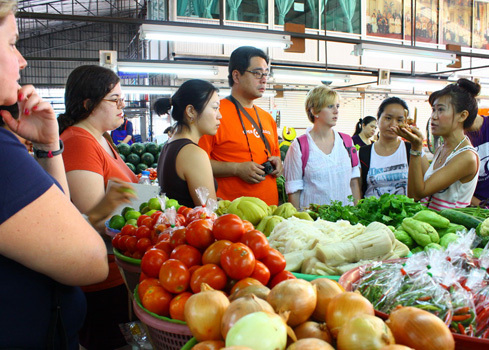 Full details explaining how to pay for your Cooking@home Thai cooking courses via PayPal will be sent to you by email upon receipt of your booking.